Product #21775 | SKU SMB-04 | 0.0 (no ratings yet) Thanks for your rating! 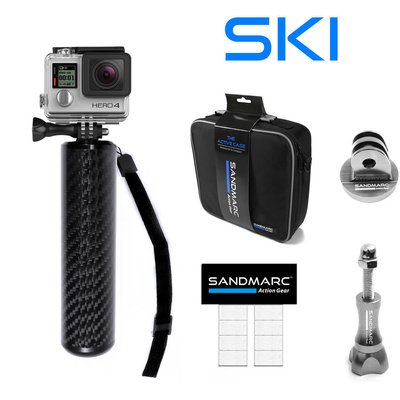 The Ski Bundle from SandMarc features all the necessary items to take your GoPro Skiing or Snowboarding. The kit features; an Active Case to keep all of your accessories together, A Carbon Grip to mount your GoPro too, and set of Antifog Inserts to ensure your housing stays moisture free. A spare Tripod mount and thumbscrew are also included.